Despite a recent rumored casting story, Tom Hardy will not return to voice Eddie Brock in Sony's upcoming Spider-Man: Into the Spider-Verse animated movie. Hardy, who is set to play the classic Marvel Comics character in the upcoming Venom live-action movie, was said to reprise his role and provide the voice for the character in Spider-Verse. But an official rep from Sony directly reached out and confirmed that this isn't going to be the case. Not only is Hardy not going to be featured, but Venom is said to not be a part of the upcoming story at all. Sorry to fans of violent alien symbiotes. It was also recently rumored that John Krasinski (The Office, 13 Hours) would be providing the voice of Peter Parker in Spider-Man: Into the Spider-Verse. That's also not happening. However, as revealed in the teaser trailer for the movie, Peter Parker will have a role to play, but it's just not going to be Krasinski voicing him. For now, the actor voicing Peter Parker remains a mystery, as the studio is keeping many of the details on the project locked up tight. Though, the movie isn't set to arrive in theaters until December, so we've still got plenty of time to learn what this movie has in store for us. What we know for sure is that this animated Spider-Man movie is going to finally give Miles Morales his day on the big screen. Ever since the character was introduced in the world of Marvel Comics in 2011, fans have been very vocal about their desire to see him show up in a Spider-Man movie. In fact, many were championing Marvel Studios to focus on Miles Morales, as opposed to Peter Parker, when it was announced that Spidey was joining up with the MCU. Ultimately, Tom Holland nabbed the role and they went with the more classic version of the character in what ultimately became Spider-Man: Homecoming. Even though Spider-Man: Into the Spider-Verse is an animated movie, that doesn't make it any less significant. Miles Morales has shown up on the small screen before, but Sony is giving this movie a wide theatrical release and, based on everything we've seen, this isn't a small project to possibly make a few easy dollars. This is going to be a legitimate, ambitious and heavily stylized Spider-Man movie. Even though it's not live action, it looks like fans of Miles Morales are going to get their wish. And there's always a chance he could show up in a live-action movie down the road. Who knows what the future holds? Phil Lord and Chris Miller, directors of The LEGO Movie and former directors Solo: A Star Wars Story, are producing the movie, with Bob Persichetti and Peter Ramsey co-directing. 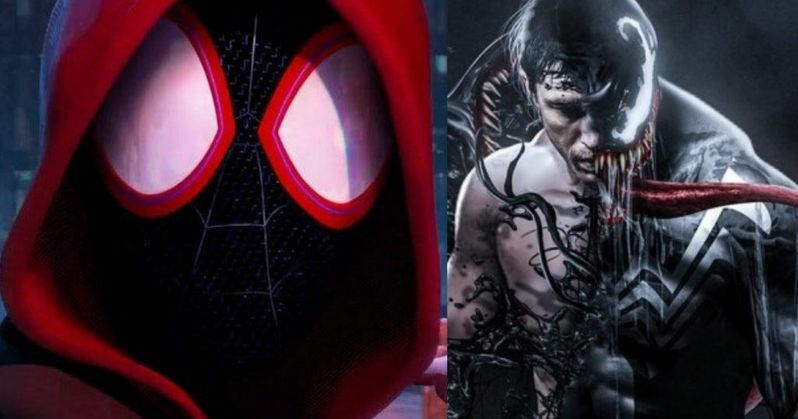 For now, plot details are being kept under wraps, but the voice cast for the movie includes Liev Schreiber, Mahershala Ali, Brian Tyree Henry Shameik Moore as Miles Morales. We'll be sure to keep you up to date as any new information on Sony'sSpider-Man: Into the Spider-Verse is made available.